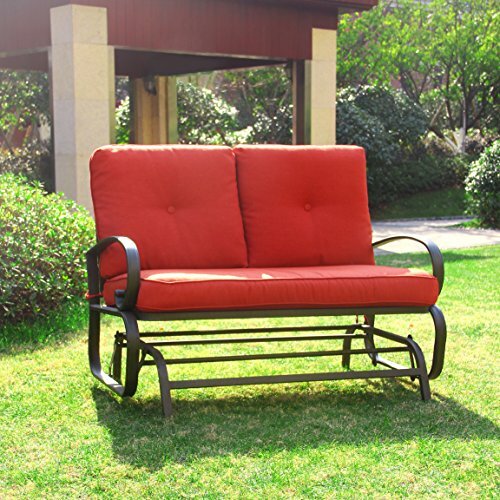 Outdoor furniture merges the comforts of the indoors with the pleasures of relaxing in nature. When the weather’s great, there’s nothing like grilling burgers and hot dogs, then staying outside to dine and watching the sunset from a prime seat on your back porch. But one major issue with outdoor furniture is keeping it clean. Indoors, the biggest worry is pets or spilling soda or food upholstery. Outdoors, you’ll want a fabric that’s versatile enough to keep out mildew and resist stains and fading. Sling fabrics fit the bill. If you live in an area with particularly extreme weather, it’s smart to look for heavy-duty fabrics that can stand up to Mother Nature’s bad days. For example, humidity can be hard on patio furniture in Southern states including Texas, Louisiana, and Alabama. Commercial-grade sling fabric like the acrylic K5877 Venice can protect against mildew and other outdoor furniture hazards. It’s rated to exceed 30,000 Wyzenbeek rubs, which means it’s strong enough for commercial and hospitality usage and can handle a lot of wear and tear. Laundering it is also easy; you only need soap and water. While you need a fabric that can handle harsh conditions, that doesn’t mean the design you choose has to be harsh as well. Stick with your preferred aesthetic, whether that’s stripes, florals, or a novelty print like the acrylic K5983 Beach pattern. It will give your outdoor furniture a beachy vibe without the sometimes unpleasant beachy smell, as it offers resistance to water, mildew, and bacteria. You can use the fabric to create a new pad or cushion for a patio couch or chair, but chances are your existing furniture already has a pad or cushion. If the structure of the furniture is still sturdy and reliable, you can replace the pad or cushion rather than throw out the entire piece. Some types of patio furniture are easy for DIYers to tackle. Round chair cushions, for example, can be tackled by just about any halfway crafty person with supplies like fabric scissors, a staple gun, and fabric glue. If you’ve got a more complicated piece or just don’t feel very confident in your reupholstering abilities, ask friends or family members if they have any recommendations for a local professional upholsterer. What if you want to get up close and personal with some fabric samples before committing to a design? That’s not a problem when you can order samples that will be delivered directly to your door. Pictures on a screen are helpful, but you can’t hold those pictures in your hand and test things like texture and weight. Find a design that intrigues you and click on the Request a Sample button. The sample swatches will be cut from a bolt inside the warehouse, and you can expect delivery in five to 10 business days. You can order up to five samples at no cost, and shipping is also free. The samples aren’t a rental, either; once they arrive, they’re yours to use however you choose.